Upon walking into the lobby of Hotel Sorella, it is already obvious you will be having an extraordinary visit. 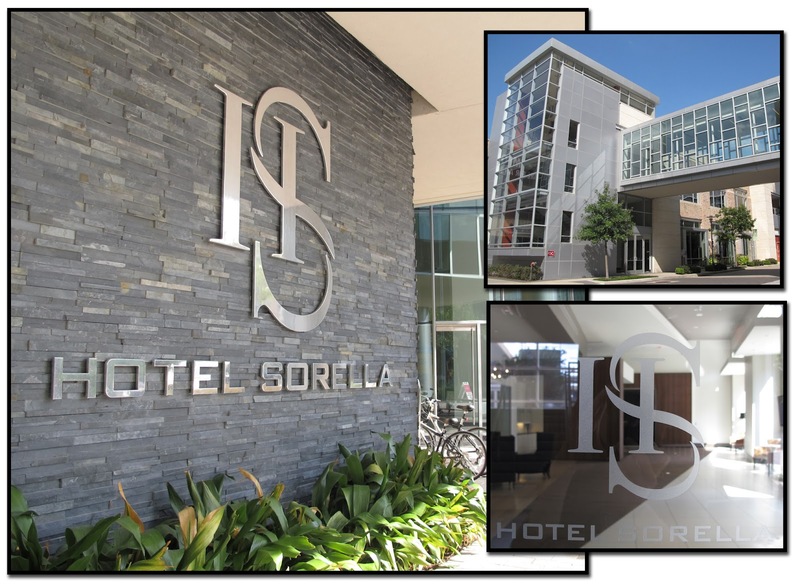 Situated in the thriving City Centre in west Houston, Hotel Sorella serves as a fabulous location outside of the bustle of downtown Houston, while still offering all the amazing amenities of a metropolitan center. Delicious restaurants, fabulous stores, green space, and the modern Hotel Sorella, all connected by tree lined sidewalks. It’s hard to beat that anywhere in Houston! Whenever there is chance for Hotel Sorella to show off it’s style, it does so with great flair and a fabulous sense of taste and moderation. Bold patterns and creative layouts are just a couple of ways Hotel Sorella keeps its space fresh and modern. One obvious theme of Hotel Sorella is its unique chandeliers sprinkled throughout the entire hotel. I had the pleasure of taking a tour of Hotel Sorella’s new event space. Connected with the hotel through a sky walk, this new space is separate from the hotel while still being within easy access. This makes events more personal without the possibility of other hotel guests accidentally wandering past. Upon walking into the building, the lightness of the building is the first impression. 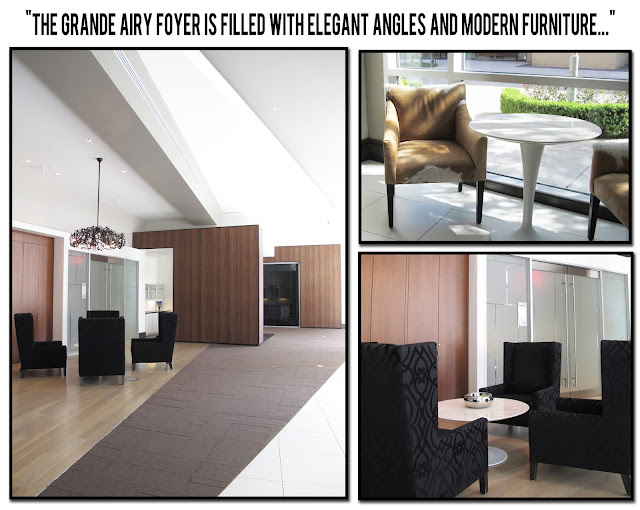 The grande airy foyer is filled with elegant angles and modern furniture making it perfect for a relaxed cocktail hour. The La Scala ballroom itself is quite unique. Twelve black chandeliers span the length of the ballroom at interesting angles. Tall skinny mirrors are set around the room to create extra depth and interest to the space. 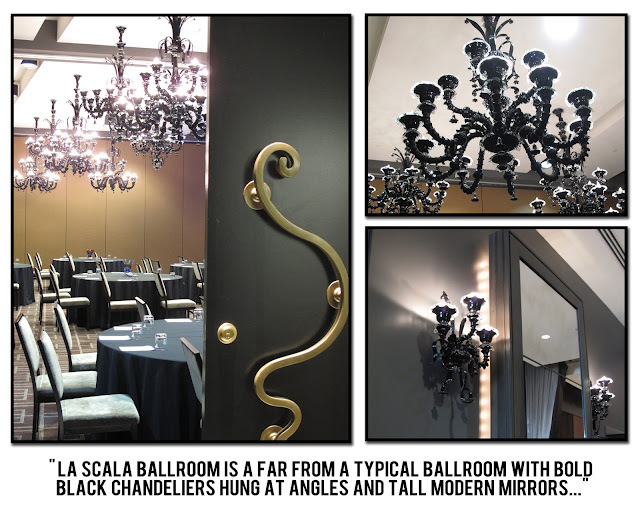 One of my favorite things about the La Scala ballroom is that it did not follow the typical hotel formula of a boxy ballroom, but instead created subtle angular lines to expand the space. For a bride looking for a unique and elegant wedding reception, Hotel Sorella is the perfect fit! If you want to find out more about Hotel Sorella, or want to hear more about my tour, please contact us at Soireebliss! Events. © 2019 Soireebliss|ProPhoto Photo Website by NetRivet, Inc.